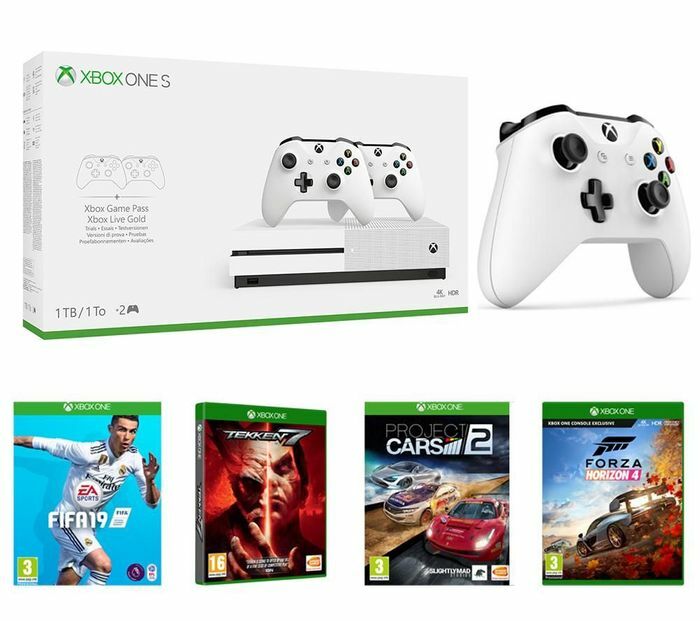 The Xbox One S is an enhanced Xbox console; 40% smaller and with High Dynamic Range technology to make games look better than ever. Dive into the world's greatest games on a more streamlined console with a modern new design. The 500 GB hard drive offers plenty of room to store more of your Xbox One games and Xbox 360 classics, 4K movies and apps. Experience richer, more vibrant colours and High Dynamic Range Technology which delivers better contrast ratios between light and dark colours to bring out the true visual depth of your games. The new Xbox Wireless Controller has a new streamlined design with a textured grip that feels better in the hand. that is a really good deal. hmmmmm kids for xmas ? thank you for sharing this deal! Why is it showing 500gb hard drive in the details yet 1TB in the Title?